Link to the journal’s current online page. 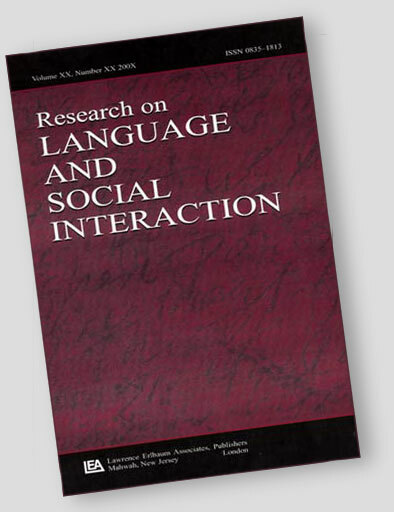 Welcome to the blog for the journal Research on Language and Social Interaction, often referred to by its initials – ROLSI. ROLSI publishes academic research on language and its use in the human business of interaction. This blog is by its editor, and I shall be adding blog posts on an irregular (but hopefully frequent) basis. Mostly they’ll be to do with things I hear about in the language-in-interaction world. For more information about the journal, including how to subscribe and how to submit papers, please visit the journal on the website of the publishers, Taylor and Francis. We’re happy to answer queries too.